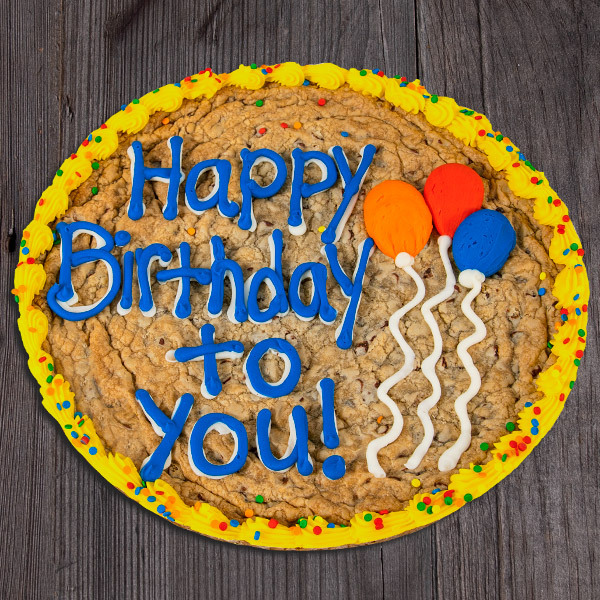 Help them celebrate their birthday in the most delicious way with this sweet birthday cookie cake! This giant 12" chocolate chip cookie cake is sure to bring a smile to their face. Its hand decorated sweet birthday message and balloons are made of sweet vanilla buttercream frosting. This birthday cake is plenty big enough to share with the others at the party!